When we committed to optimizing and growing our specialty pharmacy, the team from the Excelera specialty pharmacy network knew exactly how to help us reach our goals. CHI Health is a non-profit, faith-based health system based in Omaha, Nebraska. As Prairie Health Ventures/Alegent Health, the organization was one of the founding members of the Excelera specialty pharmacy network. In 2015, when it became apparent that CHI Health’s specialty pharmacy was stagnating, the health system’s leadership turned to Excelera to provide expert guidance to support CHI Health in sustaining and growing the pharmacy and positioning it for the future. The overarching challenge: staffing. Most urgently, call center customer service was suffering—and accreditation-critical metrics along with it. Complex prior authorization requirements also presented a challenge. CHI Health’s cardiology group, for example, is a center of excellence for the multi-state health system. Scores of patients are prescribed PCSK9 inhibitors, such as alirocumab and evolocumab, to reduce cholesterol. These drugs have some of the most intricate prior authorization (PA) requirements of any specialty medication, eating up hours of valuable clinic staff time. The situation only promised to worsen when one outside retail pharmacy announced it would no longer assist with PAs. CHI Health and Excelera team members worked together to develop several possible staffing models. While the support for hiring additional staff was unanimous, financial constraints resulted in an incremental approach, with staff additions rolling out over several years. As the number of prescriptions filled continued to grow, supported by the initial addition of a manager and a dedicated call center pharmacy technician, more pharmacy technicians were hired as Medication Access Coordinators (MACs) and embedded in cardiology, neurology, infectious disease and gastroenterology clinics. A shipping coordinator was also hired. Embedding MACs inside the clinics to handle PA workflow has improved the patient experience and eased a significant administrative burden for providers. Implementing a more fully integrated standard of care for specialty patients has also resulted in more prescriptions being filled internally. Between 2015 and 2017, the number of prescriptions filled annually nearly tripled. 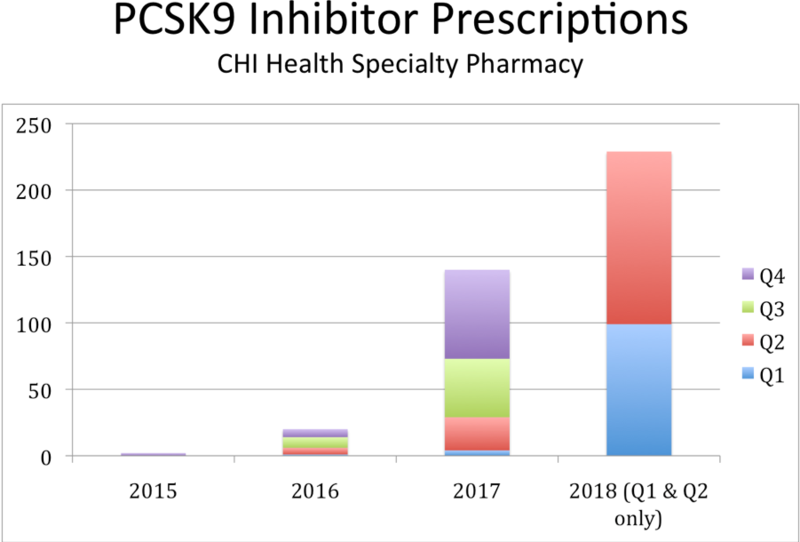 Most dramatically, the number of prescriptions filled for PA-intensive PCSK9 inhibitors has increased from two in 2015 to 140 in 2017 to 229 in just the first two quarters of 2018.